Just popping in for a quick hello while our Thanksgiving visitors are still asleep this morning. This week will be more about family and food than knitting. 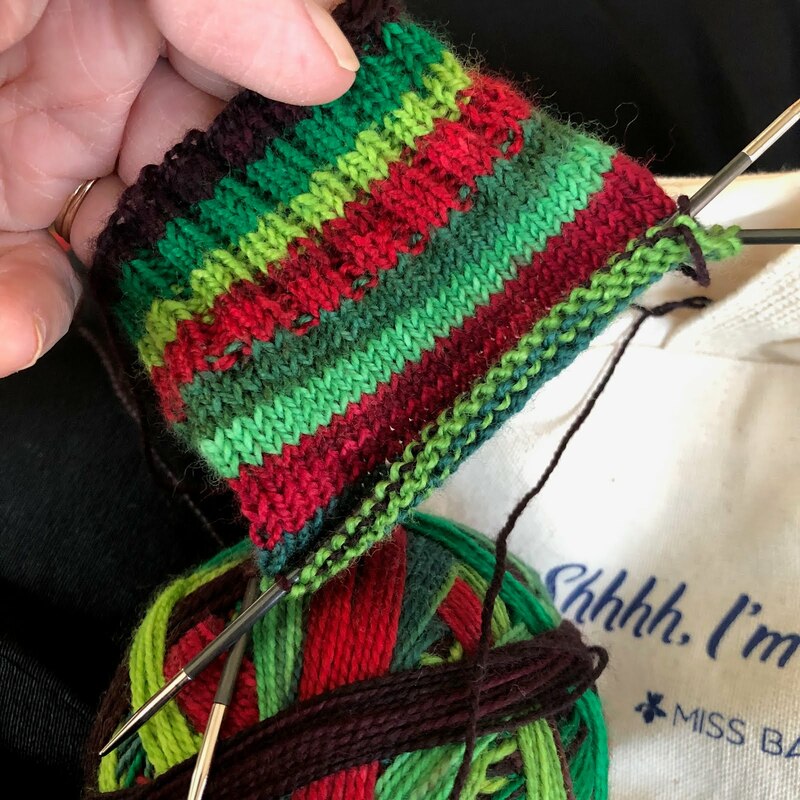 But there is always knitting happening along the way, I cast on a pair of Christmas socks this weekend. Socks are a small project that can be tucked in a purse or bag and worked on in bits and pieces as life swirls around you. I call this a "side project." I'm using a perfectly plain pattern. The yarn does the design work. For most of the sock, I'm just going round and round and round. No counting, no thinking. I finished this small shawl last week. It's a lovely project designed in two parts. 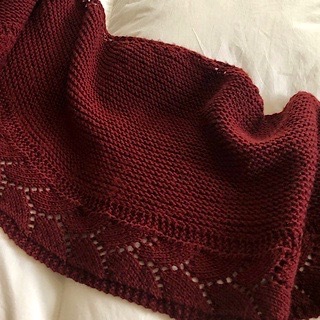 The body of the shawl is all garter stitch so it is great for "public knitting." That means you can knit and talk at the same time. The border is knitted after the body is finished and the pattern for that isn't difficult, but you do have to keep track of where you are. So I knitted that part when I had fewer distractions. These fly off the needles. Larger yarn. Bigger needles. 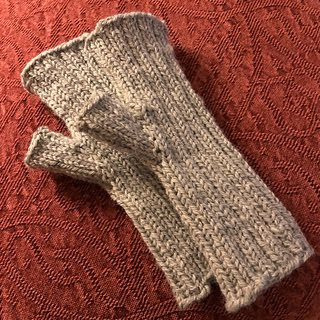 I can make one fingerless mitt in an afternoon. So a two day project. And who doesn't need a pair of mitts? Whip out a pair for someone on your gift list. There's time. It's a free pattern. Now. Back to my previously scheduled cooking. If I don't see you again this week, Happy Thanksgiving!